Last year the girls were in two different schools. This year they are in three different schools, one being in a different state. Big change for us. Julia is in 7th grade at Mt. Jordan Middle School, Gretchen is in 9th grade at Jordan High School, Sydney is in 11th grade at Jordan, and Samantha is a freshman at Southern Virginia University. The girls are growing so fast! Sam and I started our drive out to Virginia on Saturday August 16. We drove to Denver, visited the Denver Temple, checked in to our hotel and walked 1.5 miles to dinner. It felt great to walk in the cool evening. 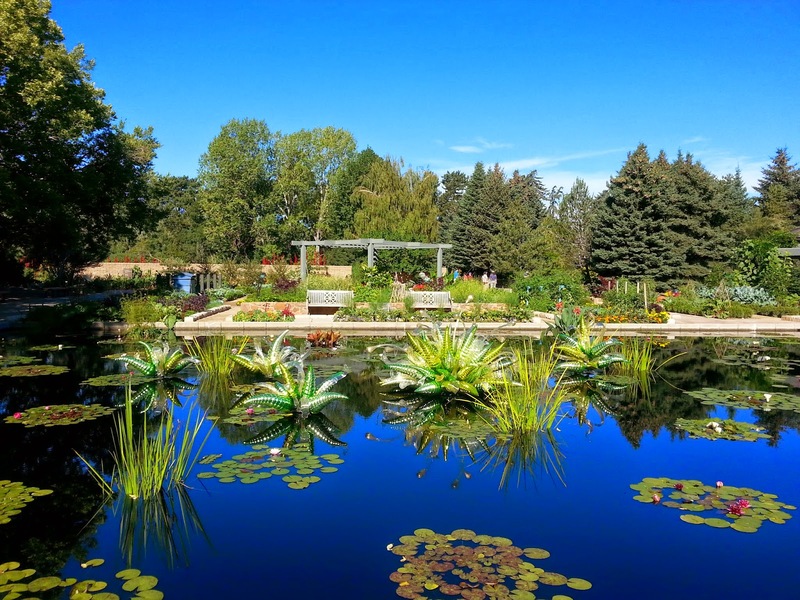 Sunday morning we went to the Denver Botanic Gardens and enjoyed the Chihuly exhibit. 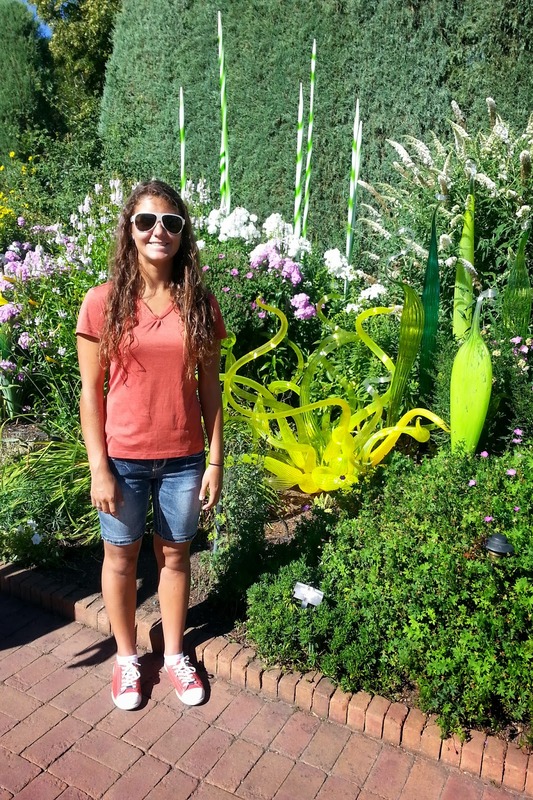 Amazing glass sculptures were scattered throughout the gardens. It was fun to see them. We drove to Abilene, Kansas and managed to get checked in to our hotel just in time to get some yummy fried chicken before the restaurant closed. Monday morning we spent 90 minutes at the Dwight D. Eisenhower Presidential Library and Museum. Visiting Eisenhower's boyhood home felt like visiting my grandmas' houses. The museum was more of a record of WWII than anything else. There was lots of information and exhibits about Eisenhower but there was tons about the war. There was a pretty detailed timeline that we could have spent hours reading. It was very well done and quite interesting. 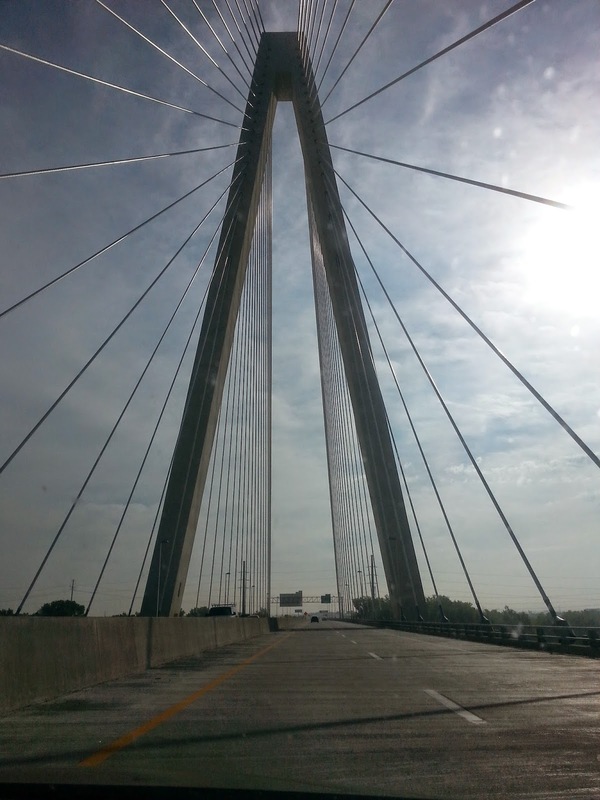 We had plans to visit the Kansas City Temple, the St. Louis Temple and the St. Louis arch before stopping for the night in St. Louis but those plans changed a little. We got stuck on a freeway that was closed due to an accident so our journey was delayed by 2 1/2 to 3 hours. 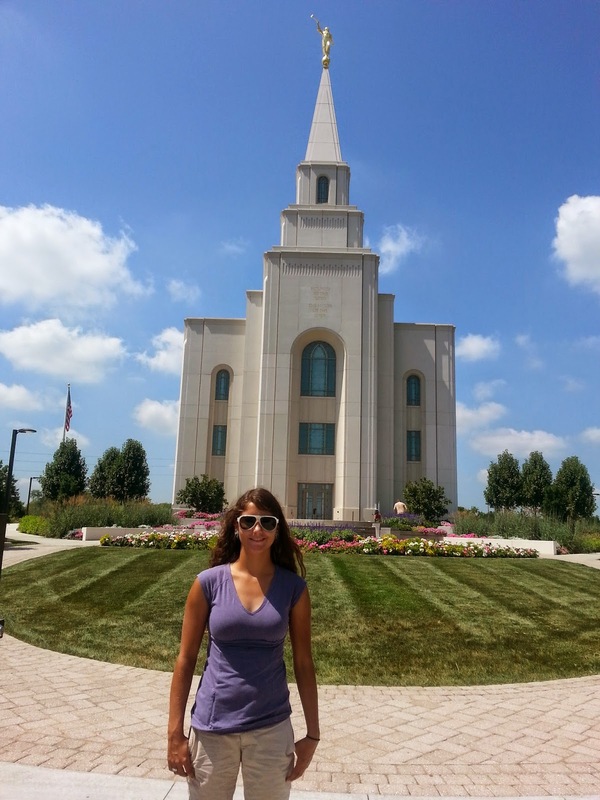 We did visit the Kansas City Temple but skipped the other two stops since it was so late by the time we got to St. Louis. Brian was able to join us for a day and a half. He got to our hotel after midnight and was super excited to jump right out of bed Tuesday morning and start the drive to Virginia. We drove through the rest of Missouri, Illinois, Indiana, Kentucky, West Virginia and finally made it to Lexington, Virginia by 10:00 Tuesday night. 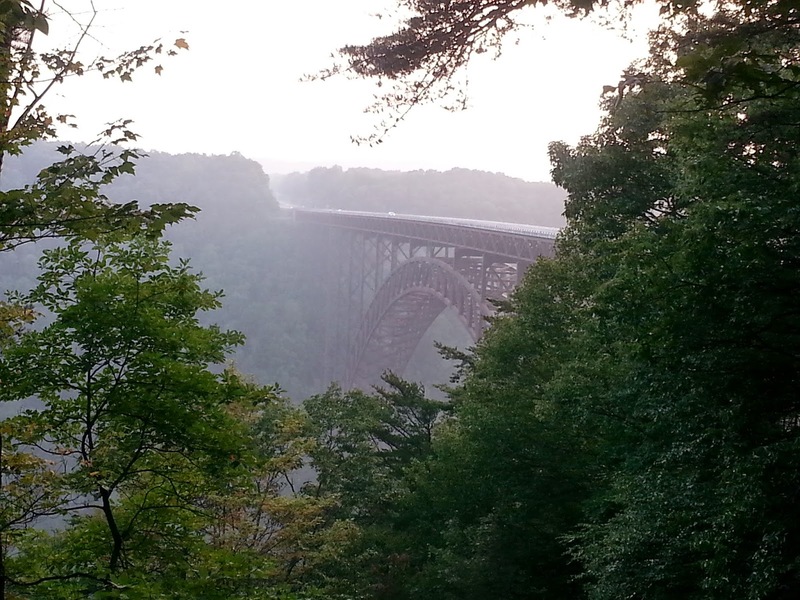 We took a detour in West Virginia to see the New River Gorge Bridge, the largest single arch span bridge in America. 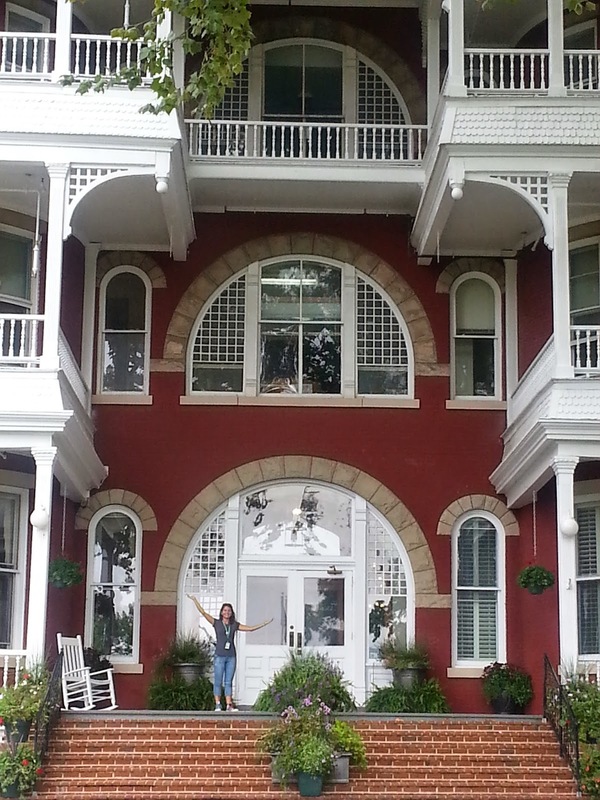 Wednesday morning we went to Buena Vista and got Sam all moved into her dorm at SVU. Brian left on at shuttle at 12:30pm so he could fly home and be back to work on Thursday. Sam & I spent the rest of the day taking care of getting her settled. The campus is very pretty, right on the hills. It's in a tiny town with a Walmart 6 miles away and more choices in shopping 60 miles away. I stayed at the hotel Wednesday night and flew home Thursday. The weekend was filled with tons of activities so Sam will stay busy until school starts on Monday. It's hard to believe that I left her there and that she is not at camp and coming home in a few days. This is a big adjustment for all of us. Sydney, Gretchen and Julia did great while we were gone. They are very self sufficient and it was nice for them to have my mom here too. Sydney and Gretchen joined the Jordan High cross country team so they have been busy running. Yay for them. It doesn't sound like fun to me. Swim starts up for Julia on Monday and she is really looking forward to that. We are all jumping into a new year with lots to do and lots of fun to be had.